government so that the scenarios there-in do not become history." --John Tegler, syndicated talk show host of "Capital Conversation." the Cyberspace Home of author David E. Meadows. "...right to the bridge, in the cockpit, into the thick of battle. Meadows is a military adventure writer who's been there, done it all, and knows the territory." --Robert Gandt, best selling author of BLACK STAR and ACTS OF VENGEANCE"
"David Meadows delivers one heck of a fast-paced, roller-coaster ride with this exhilarating military thriller." I want to thank those of you who have encouraged this effort by a new author. I appreciate the comments left in my mailbox and from those who enjoyed the books so much you honored me by a review in Amazon dot com or Barnes & Noble dot com. Most authors such as myself do read those reviews. Many editors and publishers also read them. I do reply to those of you who send mail to readermail@SixthFleet.Com and I hope I continue to earn your reader loyalty. Once again, my thanks, cheers, and, hopefully, a long relationship. Keep sending those emails. Captain David E. Meadows is the author of the SIXTH FLEET series published by Berkley Publishing Group, an arm of Penguin Putnam. Captain Meadows is an active duty U.S. Navy officer assigned to the Joint Staff on the Joint Chiefs of Staff at the Pentagon. Yes, he was in the Pentagon on September 11th and witnessed many heroic actions by those who were in the thick of this horrid attack. Click on his biography to find out more about this new, prolific action-adventure writer. Berkley Publishing Group has recently signed Captain Meadows to another four-book military action-adventure series titled JOINT TASK FORCE. The Yom Kippur War puts Israel in a fight for survival while control of the Strait of Gibraltar pit an American and Soviet submarine captain against each other. June, 1967. 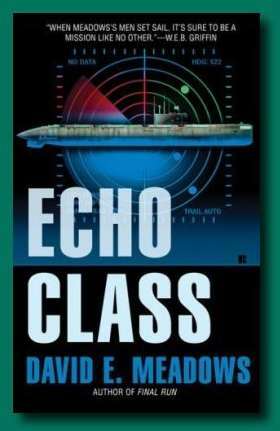 In the waters of the Pacific, Captain Danny McDonald of the USS Monaghan is ordered to track down a Soviet submarine-without triggering World War III. Last in the DARK PACIFIC series as SEA BASE is forced to lead the combined American and British forces to repel a Chinese attempt to retake Taiwan. Tensions are rising on the Korean Peninsula as North Korean starts mustering forces along the border to invade the South. Master Chief Jacobs and Senior Agazzi must fight for the survival of the 80-acre Sea Base as it rushes to bolster outnumbered American forces. Senior Chief Alistair Agazzi and Master Chief Jerry Jacobs meet death and destruction as they fight to save Sea Base from a saboteur who wants to send this newest weapon of war to the bottom of the Dark Pacific. 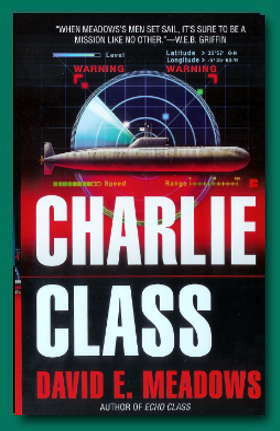 Navy SEAL Commander Tucker Raleigh - A revenge seeking terrorist leader - an approaching hurricane - a red headed Navy nurse - a combined U.S., British, and French fleet searching for a rogue freighter believed to be carrying a nuclear weapon combine into a fast paced, page turning thriller that grabs you on the first page. In the near future, the United States is no longer a dominant superpower. Countries that were once allies now race to establish their own influence around the globe. Slowly but surely, America is becoming a shadow of its former glory. But America's old enemies aren't content to see her fade away. Other nations start wars. America finishes them. Embroiled in an all-out war in the Mediterranean Sea, the Sixth Fleet finds itself being slowly taken apart by the enemy. Their only hope: reinforcements who must first face their own test under fire by fighting their way past the very gates of the enemy-the hellish Straits of Gibraltar. American soldiers have been taken hostage behind the enemy lines of Algeria. And if the U.S. continues to make rescue attempts, the hostages die. One at a time. But the Sixth Fleet never makes attempts-they win. The men of the Sixth Fleet are on a last-ditch effort to rescue hostages in Algeria, but when they uncover a secret weapon of unthinkable power, their true mission becomes clear: save the hostages, save themselves--and save the world.